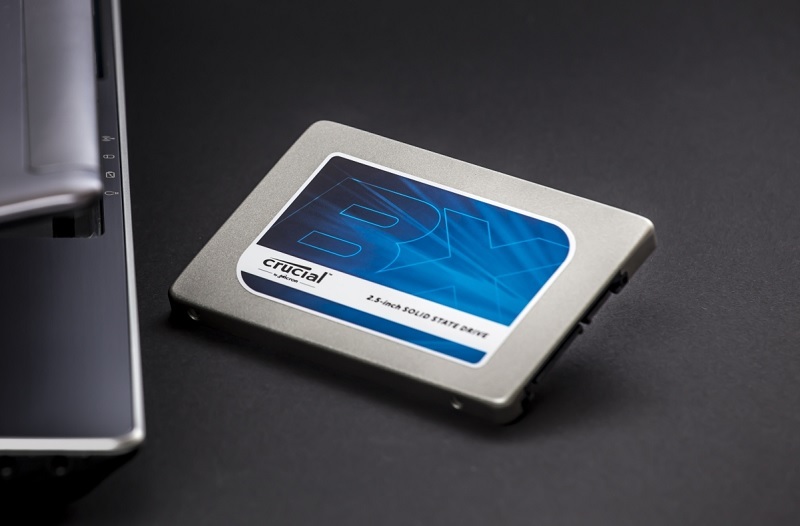 Crucial has today refreshed their budget SSD line-up, introducing the BX200 series to succeed and replace the BX100 line with slightly better performance and improved power efficiency. The Crucial BX200 is the first solid state drive to use Micron's 16nm TLC NAND, which was announced earlier this year with better storage density than its MLC equivalent. The drive uses a Silicon Motion SM2256 controller, and is available only in 2.5-inch form factors in 240, 480 and 960 GB capacities. As for performance, the BX200 is pretty similar to the BX100, with slightly improved sequential and random write performance, and reduced random read performance. The table below compares the 500 GB-class BX200 to the BX100 and Samsung's similarly-priced 850 EVO, and it should be noted that all capacities of the BX200 are rated for the same performance. The BX200 improves upon the idle and sleep power consumption of the BX100 significantly, although it can't quite match the Samsung 850 EVO's efficiency with its TLC V-NAND. Endurance is rated at 72 TB with a warranty period of 3 years. In terms of price, the 240 GB BX200 will be available shortly for $85 ($5 more than the BX100), while the 480 GB is $150 ($10 less) and the 960GB is $300 ($40 less). The entire line-up is anywhere from $5 to $45 cheaper than the comparable Samsung 850 EVO, with slightly lower performance across the board. It will be interesting to see how the drive performs in the real world, so check back on TechSpot soon for a full review of the BX200. Doesn't look like a winner to me, just from the specs. Less performance and less than half of the writes, for only a little less. Yeah, the one I have in my laptop is really good, but these new stat's are anything but impressive!